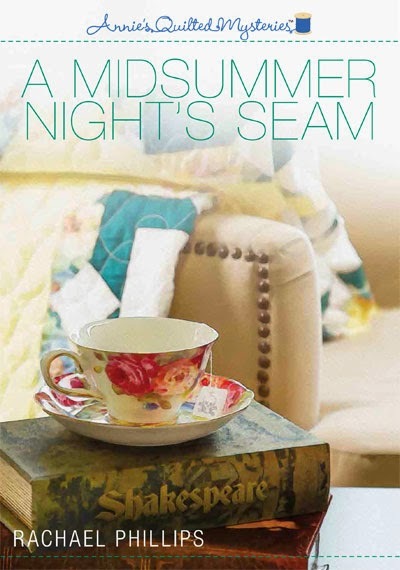 I'm finished with the third book in the Annie's Quilted Mysteries Book Club, titled A Midsummer Night's Seam. 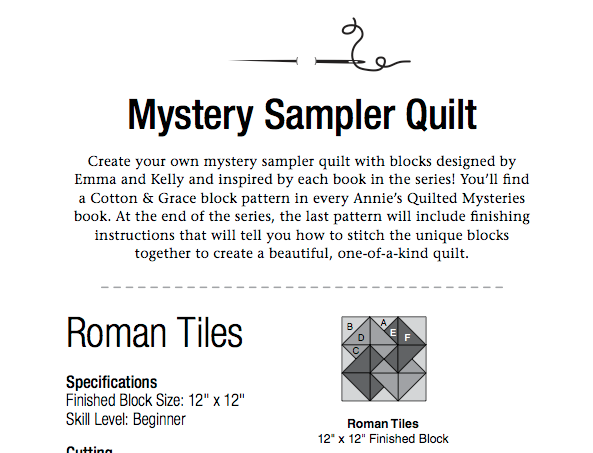 Each book in the series includes a block for a mystery sampler quilt. The first book's block was a Friendship Star block. The second book's block was called Raven. The last book in the series will also include finishing instructions to create a mystery quilt designed by the series' characters, Cotton & Grace. The third block is called Roman Tiles with a Finished Block Size of 12"x12". This block uses three colors, one each light, medium and dark. 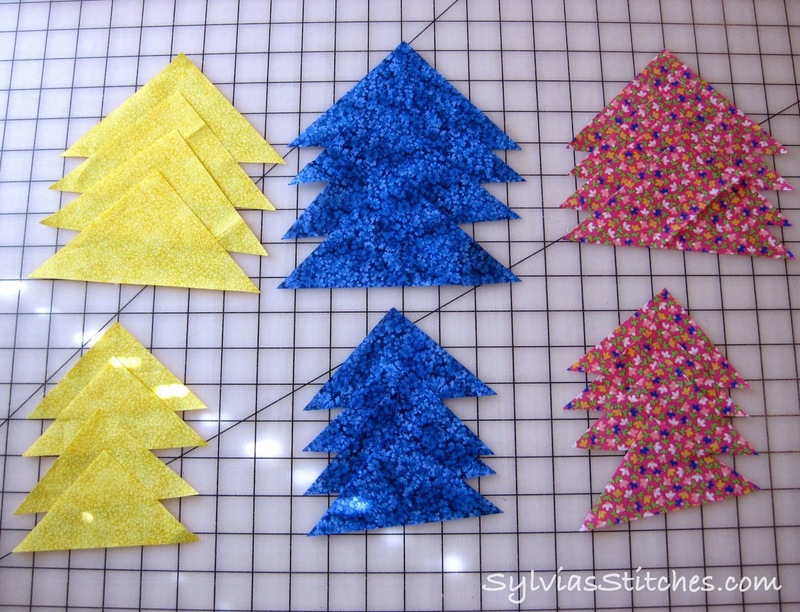 I auditioned the same fabrics from the first two blocks in Electric Quilt again. I decided to go with the yellow for my light color, a pink print floral for my medium and blue for my dark color. If you want to make your own Roman Tiles block, here is my rotary cutting printout from EQ for this block. EQ7 version of my Roman Tiles block. Pieces laid out for assembly. 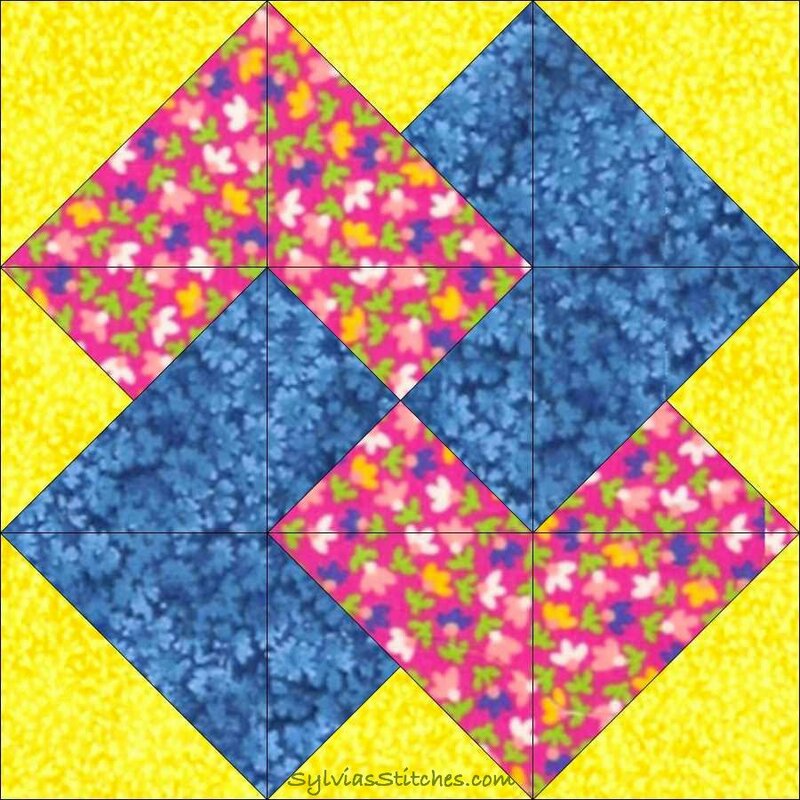 Each of the nine small blocks pieced. Tonight, I'll started reading book #4 in this series! How lovely! I can't wait to see more.